Maury County has a wide-ranging appeal for tourists. Historians come to see the James K. Polk Home and Museum honoring the 11th U.S. president. Lovers of liquid grapes are attracted by a trio of wineries. And more than 100,000 people flock to the county each year to get a kick out of the expansive Mule Day celebration. Add it all together, and it’s obvious that when it comes to tourism, Maury County is far from a one-trick pony (or mule). “If somebody comes here to explore any one of those items, they’re going to discover so many more interesting things to do and memorable experiences,” says Kellye Murphy, tourism and marketing director for the City of Columbia. Increasingly, Maury County is becoming a magnet for sporting events, especially youth sports. The Ridley Sports Complex in Columbia is a major hub of team sports activities. The sprawling complex currently features 10 softball fields and two soccer/football fields, but that has not been enough to keep up with the demand. The expansion will add seven international size football/soccer fields, 500 more parking spaces and a $1 million tournament headquarters with a kitchen, concessions, meeting rooms and restroom facilities. Once completed, Ridley will have a championship field for both softball and soccer/football, capable of seating up to 4,000 people for softball and 3,000 for soccer/football. Music and entertainment festivals have long been a Maury County staple, dating all the way to the origins of Mule Day in the 1840s, when farmers would bring their mules to town to sell or trade. A festival slowly built up around the annual event, to the point that the current Mule Day celebration includes a parade, log-pulling activities, an auctioneers competition, a liars contest and all sorts of vendors selling food and crafts. In Mount Pleasant, the smell of grilled meat fills the air each October at the Mid-South Barbecue Festival, and the sounds of music fill the air during the summer Concert Series, which features free performances every weekend. Some of the concerts are held as part of the city’s downtown Music on the Square events, while others take places at local restaurants and even on the front porch of area residents’ homes. 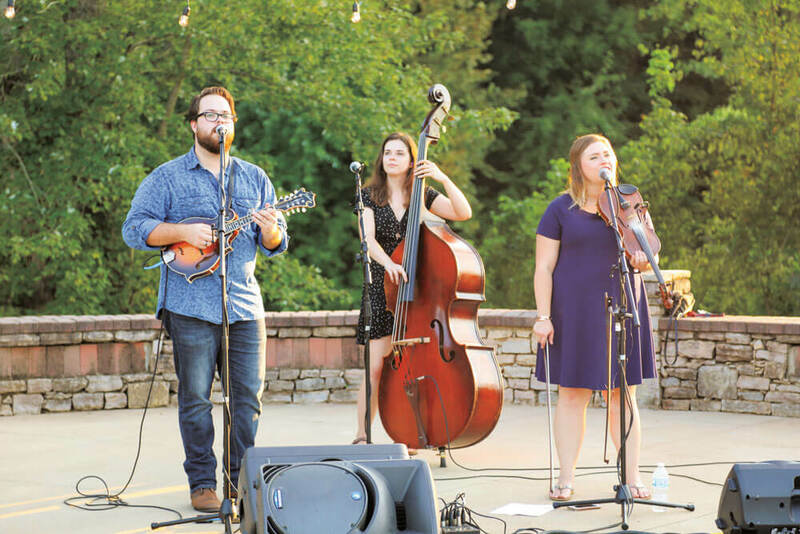 Columbia sings a similar tune with its Summer Songwriters Night, which brings some of the best of the Nashville music scene to Maury County, followed in the fall by the Mule Town MusicFest. And a trip to Maury County wouldn’t be complete without sampling some country ham, a delicacy that is celebrated each October at the Country Ham Festival in Spring Hill. For those seeking something to wash down all that food, there are three wineries in the hamlet of Hampshire. Natchez Hills Winery is a boutique family vineyard that combines centuries-old European techniques with innovative 21st-century fermentation. Keg Springs Winery was co-founded in 2003 by Brian Hamm, who was named Tennessee’s Winemaker of the Year in 2011. And Amber Falls Winery & Cellars has won more than 150 medals since opening in 2008. Meanwhile, beer lovers can raise a toast at the Asgard Brewing Company in Columbia, which uses locally sourced ingredients from Tennessee farms in the creation of its ale. Along with the beer brewed on site, Asgard has 20 draft offerings and more than 100 bottled choices.